The Security Kit is perfect for an apartment, condo or small business. 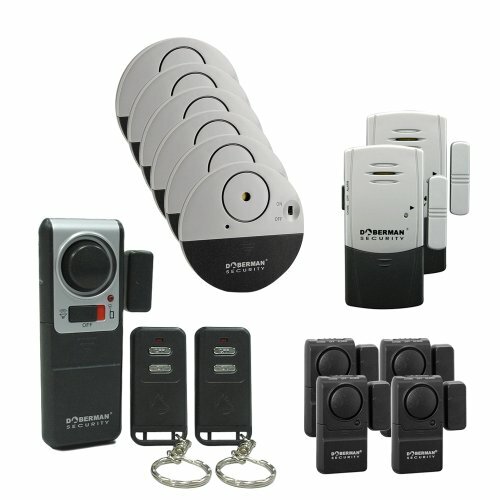 With the kit you will get 2 Mini Entry Defenders and 4 Ultra-Slim Window Alarms. 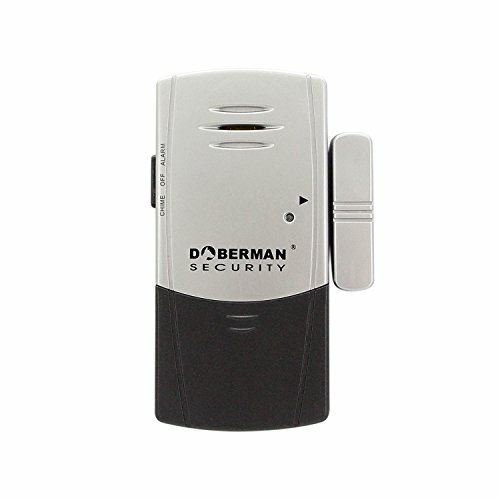 The Doberman's Mini Defender with Chime is a simple peel and stick installation, compact design and loud alarm. The Mini Entry Defender with Chime is a dual-function unit that can be set to either "alarm" or to "chime". 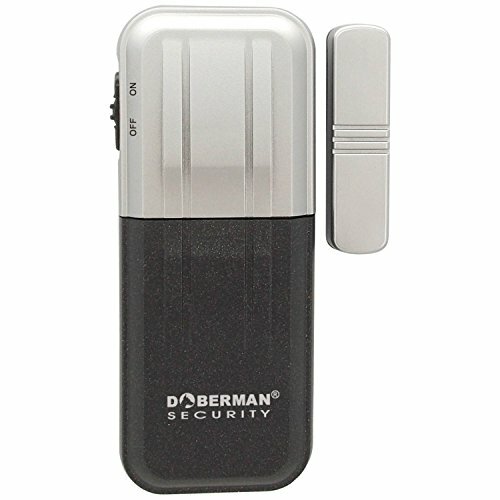 The Doberman Ultra-Slim Window Alarm protects windows that are vulnerable to break-ins. This sensor detects vibration and emits a 95 dB alarm to alert you of a potential invasion and encourages the intruder to turn away. The thin design of this alarm accommodates use with sliding windows. Simply peel and stick the device to any window. 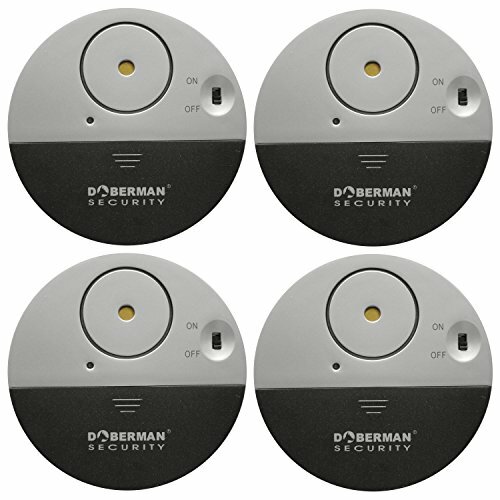 Introducing Doberman Security’s most comprehensive home security system! You’ll get everything you need to secure your home at a fraction of the cost of other alarm systems. Totally DIY, every alarm features simple peel and stick installation. No need for complicated wiring or even tools. Best yet, there’s no monthly fees. Peel it, stick it to your doors and windows and you’re done! The adhesive backing doubles as a warning sticker to further deter would be burglars from attempting to enter your home. Again, this kit is comprehensive and has everything you will need to properly secure your home apartment or even your office. 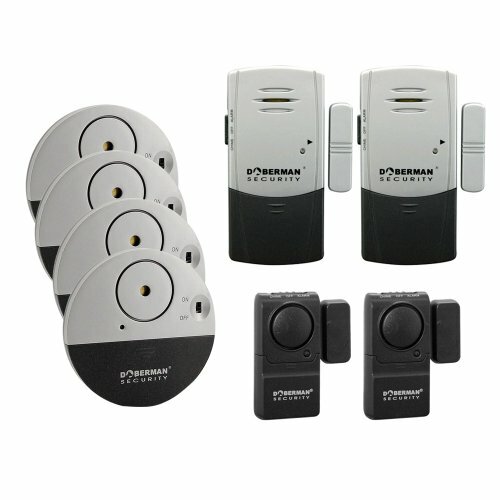 This security kit includes 6 ultra-thin vibration triggered window alarms, 4 Mini Entry Defenders suitable for either doors or windows, 2 Ultra-Thin Door/Window Defenders whose slim design works perfectly with sliding glass doors, and 1 Wireless Door Alarm with 2 remote controls. 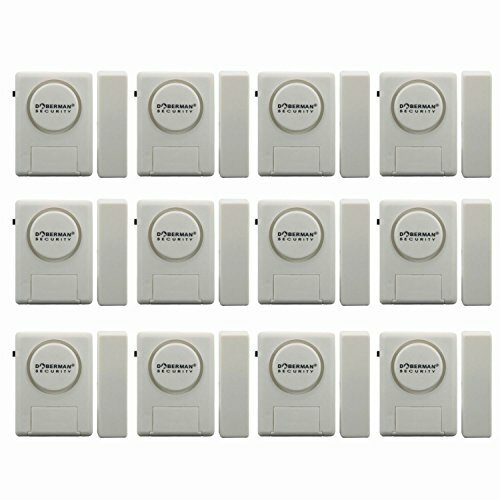 The door alarm with remote control action is perfect for high traffic entry ways like a front or back door. It works the same as a car alarm. You can turn the alarm on and off with a simple push of a button on the remote upon entering or leaving. 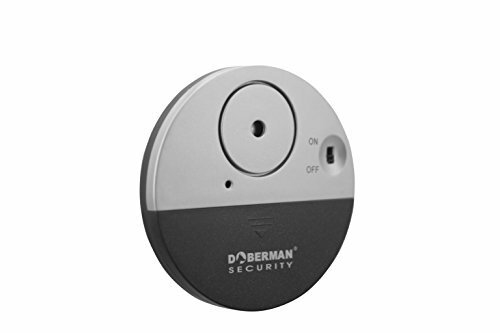 We at Doberman Security work hard to manufacture state of the art alarms with superior industrial design at a fraction of the cost of other systems. Simple….effective…affordable. Have the peace of mind knowing that your home is protected by Doberman Security, the world’s foremost leader in DIY home Security. Doberman Security…..your personal watchdog. Protect yourself from potential theft while traveling. 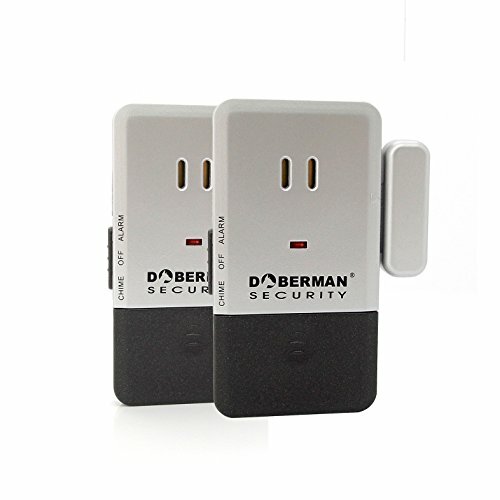 The Doberman Security Traveler Defense Alarm is easily attached to any door to provide you with peace of mind while you sleep. Simply hang it from the door knob and place the clip in the door jamb. If it senses vibration, the 100dB alarm will sound. It’s the perfect alarm for hotel rooms, dorms or any room you’d like to guard. There’s also a handy flashlight built in. With its simple peel and stick installation, ultra-thin design and loud alarm, the Window/Door Alarm kit is a low cost, effective solution to home security. Place the included magnet on the outside frame of any window or door you wish to protect. When opened by an intruder, the magnetic circuit is broken and a loud alarm will sound. The Motion Detector Light/Alarm Combo is perfect for home, office, apartment, garage or dome room. There are no wires or complicated installation required. Select Light only mode or alarm/Strobe mode. 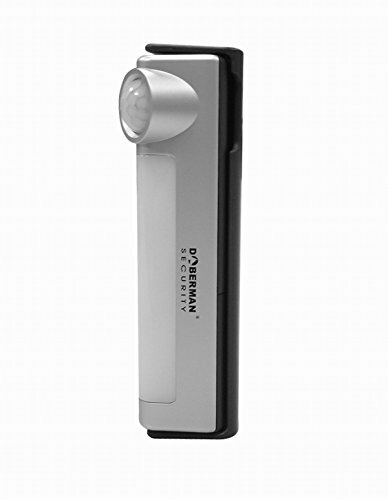 Ultra-bright and easily installed, The Motion detector light/alarm combo is a must have item for any household. 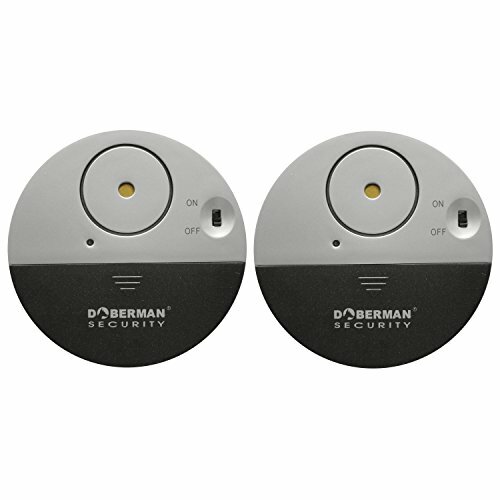 Introducing one of Doberman Security’s most comprehensive home security system! You’ll get everything you need to secure your home at a fraction of the cost of other alarm systems. Totally DIY, every alarm features simple peel and stick installation. No need for complicated wiring or even tools. Best yet, there’s no monthly fees. Peel it, stick it to your doors and windows and you’re done! The adhesive backing doubles as a warning sticker to further deter would be burglars from attempting to enter your home. Again, this kit is comprehensive and has everything you will need to properly secure your home apartment or even your office. 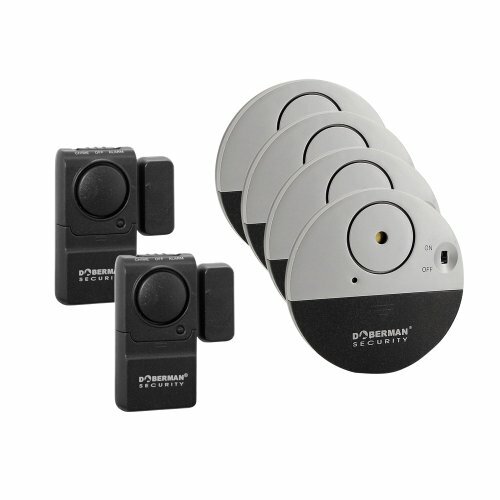 This security kit includes 4 ultra-thin vibration triggered window alarms, 2 Mini Entry Defenders suitable for either doors or windows, 2 Ultra-Thin Door/Window Defenders whose slim design works perfectly with sliding glass doors. 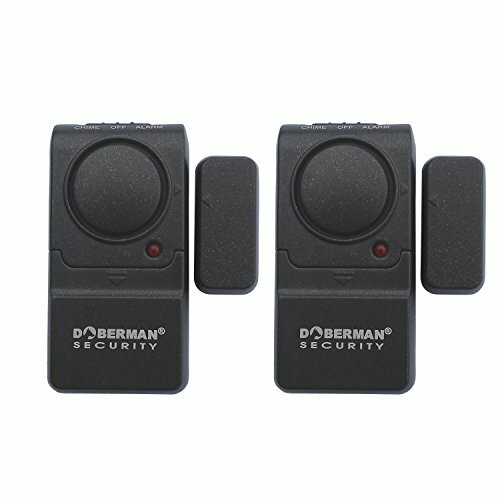 We at Doberman Security work hard to manufacture state of the art alarms with superior industrial design at a fraction of the cost of other systems. Simple….effective…affordable. Have the peace of mind knowing that your home is protected by Doberman Security, the world’s foremost leader in DIY home Security. Doberman Security…..your personal watchdog. 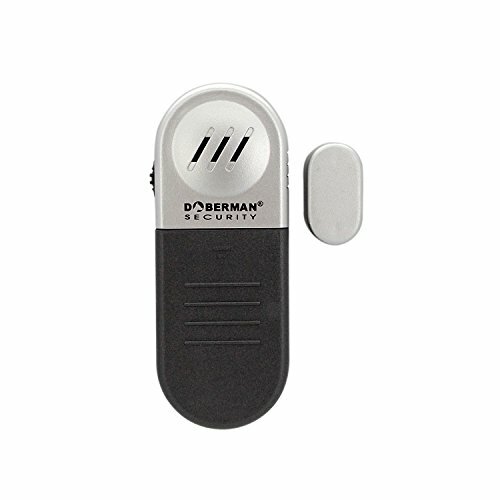 Doberman’s Mini Entry Defender is priced affordably to protect every entryway in your home. With its simple peel and stick installation, compact design and loud alarm, the Mini Entry Defender w/Chime is a low cost, effective solution to home security. The Mini Entry Defender w/ Chime is a dual-function unit that can be set to either “alarm” or to “chime”. 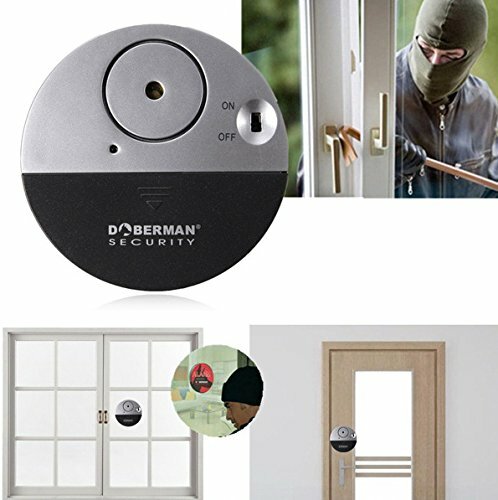 The Mini Entry Defender is the perfect security solution for any door or window in your house. Comes 2 to a package. The Entry Defense is Doberman's most basic unit. It is easy to operate, effective and loud. 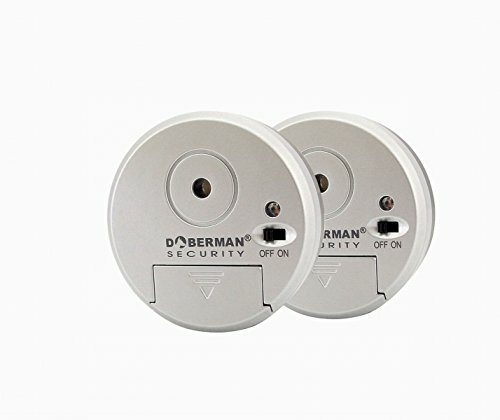 Using two magnets to form an electrical circuit, the opening of a protected window or door breaks this connection and sets off the 100 dB alarm. 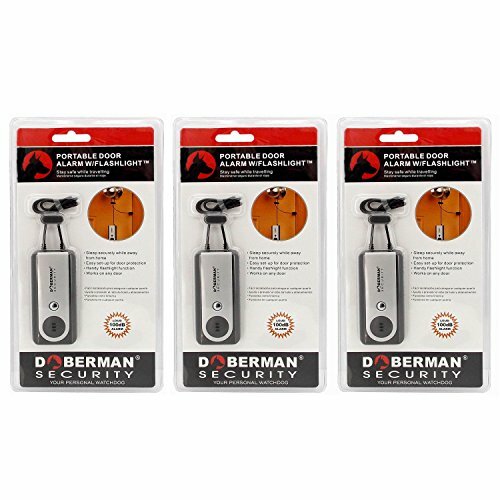 Doberman’s Entry Defense is priced affordably to protect every room and entryway in your home. It’s Simple, effective, and affordable home security for your home or office. 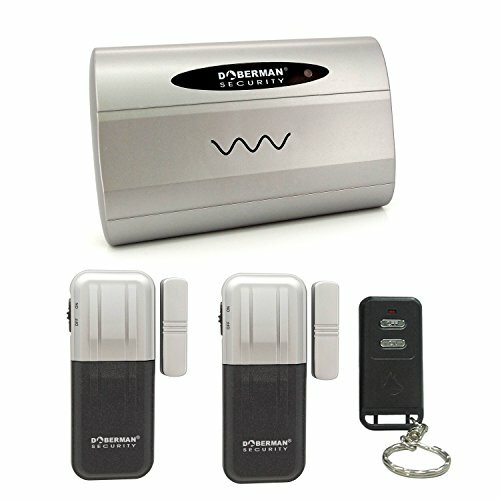 Doberman's DIY Wireless Door/Window Security Set uses trouble-free wireless technology to keep your home safe and secure. 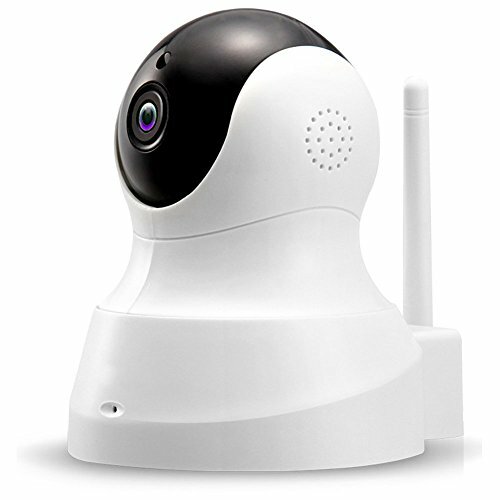 It's the ideal low cost, high performance security system for your home, apartment or business.